Assessment of Chemical hazards and exposure to chemicals. 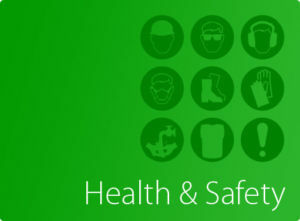 Compliance with British and European, manufacturers’ or industry standards. Management of Health & Safety.